It's easy to enjoy a cold treat on a hot day when you live in one of our Edmonton apartment buildings. Here at Ayre & Oxford, we know that it's hard to stop at just one treat, so we've made a list of all the best ice creameries near you. Holy Cow's homemade popsicles and ice cream bars are some of the best here in Edmonton. Every Saturday, all summer long, you can find Holy Cow at the City Market Downtown, just minutes from our El Mirador and Rochester Apartments. Enjoy unique ice cream bar flavours including Black Sesame, Nutella, and Green Tea, or fruity popsicles like Strawatermelon, Lemony Lime, Honey Dew, or Papaya. Inspired by street food in Thailand, Rollies is Edmonton's first rolled ice cream shop! This unique spin on a classic treat can be found in the Westmount Shopping Centre, just five minutes from Parklane Gardens, Squire Manor, and Wynford Apartments. This delicious ice cream is made fresh everyday and rolled right in front of your eyes, which makes this shop a must-visit in Edmonton. At Pinkberry you can order sweet or tart frozen yogurt and top it off with fresh fruit and delicious sauces, or even cereal, brownies, and toasted almonds! It's easy to satisfy your frozen yogurt cravings with three Pinkberry locations near our downtown buildings, at the Edmonton City Centre, the Telus Plaza Concourse, and the Grand Villa Casino. Yelo'd is the only place in Edmonton where you can find Filipino and Asian inspired ice cream flavours. Their soft-serve ice cream is scooped into delicious waffle cones, which are made fresh in-house along with some pretty amazing baked goods and cakes. Our buildings in Old Strathcona are just minutes away from this Whyte Avenue shop. Located in the Southgate Centre, this ice cream shop creates the most unique cones you could imagine! 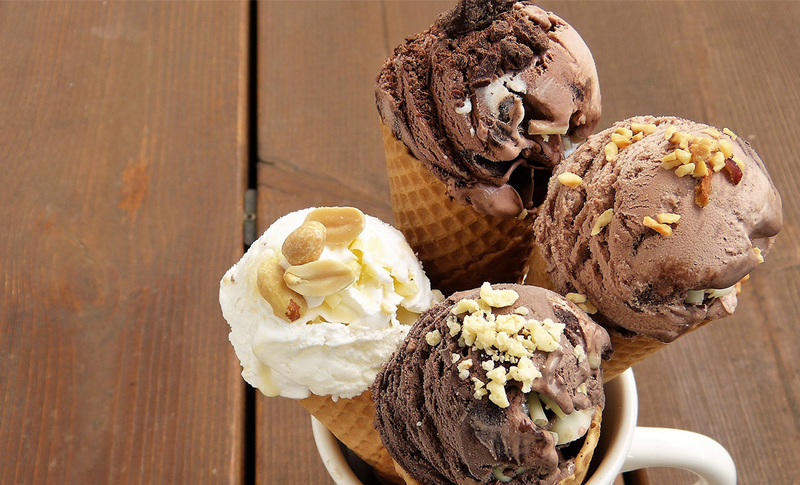 Try a Krusty the Cone, O'Hungry, or Rocky Road Rage. They also have milkshakes, frappes, pints, and hot chocolate. Residents of Millborn Mews and Woodvale Townhomes can drive to Sweet Jesus in under ten minutes.